Personalized pub crawls with Beer Prague - Walking Brewery Tours let you discover one of the world's top beer-producing destinations. Guided walking tours through Prague combine a healthy activity with a chance to taste some of Europe's--and the world's--top beers, produced by mini-breweries scattered across the city. The basic beer tour allows you to learn about the history of the local brewing techniques at several establishments, where you'll taste many beer varieties accompanied with tasty appetizers. Visitors looking to spend a night on the town with friends can arrange a stag party, which includes unlimited consumption at every brewery along the way. Arrange your visit to Beer Prague - Walking Brewery Tours and discover more family-friendly attractions in Prague using our Prague sightseeing planner. An awesome night out with a great group of people! The guide/host, the tour, the breweries and of course the beer was just perfect! We would definitely recommend this to any beerlover strolling through Prague. Our guide was Vašek and he showed a lot of knowledge and told many inside stories of Prague and the breweries. It was a pleasure talking to him as he was a very easy-going guy and his English was excellent - we had a lot of fun. We did the Beer Prague tour last Friday and had a great evening. Our guide (I believe her name was Camilla) was very knowledgeable and gave us a tour of the Prvni Novomestsky restauracni pivovar before we sampled the different lagers produced there. We then visited two other microbreweries and sampled the beers. Our multinational party of visitors (Swedes, Finns, Americans and British) was pretty sociable and we spent an enjoyable evening experiencing Czech beer culture in a great setting in the centre of Prague. I would recommend this trip as a way to experience the ambience of Prague Old Town and to try out the local brews! This tour was a great experience. From booking with Martin to the tour itself. Tour was very authentic and tailored to our wants, only 4 of us with the guide. Prices were more than fair considering that you have unlimited beer and traditional appetizers at the end of the tour. Guide (Vasek) was amazing, he was passionate about the beer making process and about the city, hilarious to hang out with, he even got my wife different drinks because she was not a beer drinker and was just coming along for me. 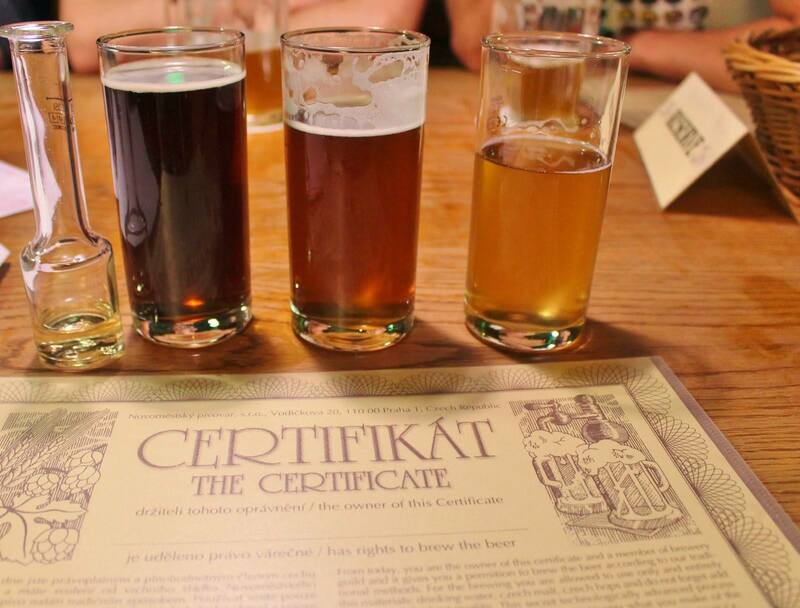 If you want an authentic Prague experience while you learn about beer making then this is the tour for you! We really did enjoy the tour! It was just the right amount of information and so much more beer than we are used to from visits at other breweries all over the world. It was great that we were able to taste so many different beers, especially the dark salvia beer was quite an experience. The final stop at the boat was a great surprise – awesome location, tasty food and some more delicious beer! Vojta was perfect as a guide. With his kind of humour he was able to win over the whole group (colleagues from work around their mid-twenties/thirties) immediately and we had loads of fun! Every day, we help thousands of travelers plan great vacations. Here are some tips on how to use your Listing Page to attract more travelers to your business - Beer Prague - Walking Brewery Tours. Promote your permanent link - https://www.inspirock.com/czech-republic/prague/beer-prague-walking-brewery-tours-a3209071137 - on your website, your blog, and social media. 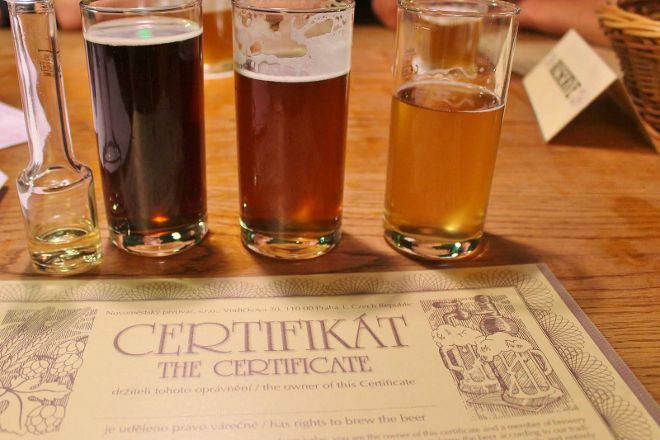 When a traveler builds a plan from this page, the itinerary automatically includes Beer Prague - Walking Brewery Tours. This is a great way for travelers looking for a great vacation in your city or country to also experience Beer Prague - Walking Brewery Tours. Promoting your link also lets your audience know that you are featured on a rapidly growing travel site. In addition, the more this page is used, the more we will promote Beer Prague - Walking Brewery Tours to other Inspirock users. For best results, use the customized Trip Planning Widget for Beer Prague - Walking Brewery Tours on your website. It has all the advantages mentioned above, plus users to your site can conveniently access it directly on your site. Visitors to your site will appreciate you offering them help with planning their vacation. Setting this up takes just a few minutes - Click here for instructions.